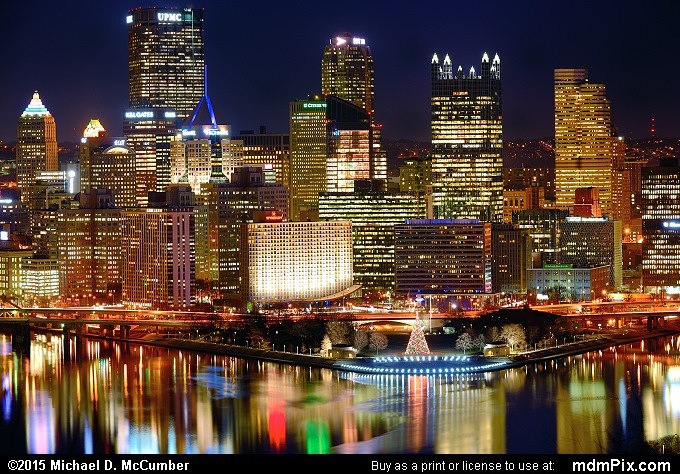 Pittsburgh nearing the end of its work day in mid December with the city still all lit up. It and the Christmas Tree in Point State Park all reflecting beautifully in the city's three rivers. This 45 second exposure was taken from the West End Overlook and zoomed past the Ohio towards the meeting of the Allegheny and Monongahela Rivers. The city has welcomed several new skyscrapers in recent years as its golden triangle continues to evolve into a sleek downtown.